Dividend investing has been a hotly debated topic in the FI community. Brad and Jonathan dive into the details of dividend investing with Craig from Retire Before Dad. Craig's interest in the stock market started back when he was just eight years old. Back then, he would follow mutual funds in the paper. That interest led him to initially pursue a degree in finance with the intention of becoming a stockbroker. A couple of years later, he was able to land an unpaid internship with Merrill Lynch to learn about the stock market. Throughout the internship, he realized that most of his tasks were marketing related. He only saw the broker actually buy stocks a couple of times. When he probed to find out more about the fee structure that created an income for the stockbroker, the man did not really explain the fee structure well. After that, Craig decided that he did not want to pursue a career as a stockbroker because it was really just seemed boring. Plus, the vague fee structure was a deal breaker. I asked him “How do you guys make money?”and he told me “The client never sees it. The way we have it set up is we put fees here and there and we keep them hidden. If they ask about it, we disclose it, and it's disclosed in the fine print.” It wasn't' really explained to the customer on how they take out their fees… His answer to that question for me, was a deal breaker. Throughout school, he read books like The Beach by Alex Garland Full Disclosure: We earn a commission if you click this link and make a purchase, at no additional cost to you. and Danziger's Travels by Nick Danziger Full Disclosure: We earn a commission if you click this link and make a purchase, at no additional cost to you. inspired him to make the leap and take a trip. After paying off debt and saving up money, he planned a 4.5-month trip around Asia. The 4.5-month trip turned into an 18 month trip around the world. The decision to keep traveling was simple because he was living for approximately $15-20 a day with several thousand in savings, so he had just enough to continue traveling for over a year. In total, the 18-month trip only cost around $10,000. Once he returned to the States, he was broke and living at his parents' house. The economy was in a recession, so it was difficult to find a job. He did any temp job he could find and continued to put his resume out there. One day he got a bite with a government contract job that led to a long-term position in Washington D.C.
As he started to earn more disposable income, he knew he was ready to start investing. The first stock Craig owned was a gift from his uncle. For his 20th birthday, he received one share of Chevron stock. Back in 1995, it was not easy to invest. So, the gift of a single Chevron stock opened the door to more dividend investing options for Craig. With the Chevron stock, he was now able to invest in the DRIP program. His uncle advised him to invest a small amount of money each month and continue to invest the dividend to build an income stream over time. He did just that and sent some money in the mail each month to increase his dividend stock portfolio over time. The fact that dividend investments are held through a single company can also allow you to choose companies that align with your values. Although you shouldn't let your personal experience cloud the numbers, it can be a way to build a portfolio of companies that you morally support. For some investors, dividend investing seems like a way to attempt beating the market. However, Craig solely uses the dividend investment strategy to build an income stream over time. The goal is to use the money to fund expenses in the future but currently, he reinvests the money each month. A dividend received from an investment is simply money that a company pays out to its shareholders. Dividend investing is a way to create an income stream through regular dividend payments by a company. If you have ever wondered what DRIP investing is, it is dividend investing but you continue to reinvest your dividend earnings into your dividend investment. Dividend growth investing is where the investor buys individual stocks that typically pay a dividend and grow the dividend every year. So these companies typically have a long history of paying dividends and increasing dividends on an annual basis. So the idea is that you want to put together a portfolio of these, what we call dividend growth stocks… so that you start receiving an income stream of dividends that grows greater than the rate of inflation over time. When you buy a share of dividend stock, you are choosing to buy into one company. Unlike a mutual fund like the VTSAX which translates to owning a smaller piece of hundreds of companies. You can purchase dividend stock directly through a company or a brokerage. Many large publicly traded companies have direct stock purchase plans that will allow you to own their stock and invest directly through them. Once you buy the dividend stock, the hope is that it will pay a higher dividend each year. Strong dividend investments are with companies that have a strong history of paying dividends and increasing their dividend payment amount on an annual basis. Ideally, you want to build a portfolio of several dividend producing companies that are increasing their dividend payments over time. Over time, you work to build an income stream of dividends that grows greater than the rate of inflation. Is Dividend Investing Better Than Relying On Capital Appreciation? Honestly, the answer depends on your own opinion. Craig is using a portion of his investment budget to create an income stream with dividend investing. His goal is not to beat the market, just to build an income stream that he can choose to reinvest or not. The income stream will be predictable and is a way to supplement his other income. Other dividend investors attempt to use dividend investing as a strategy to beat the market. There is some research that suggests it is possible for dividend investors to beat the market, but it is far from a guarantee. Many other investors avoid dividend investing entirely and rely on capital appreciation over time. 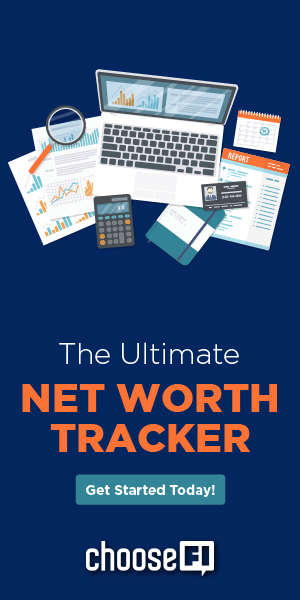 As the stock price increases, so do the net worth of the holder. A big difference between these types of investment strategies is the transfer of cash that creates a taxable event. With dividend investing, the dividend payout creates a taxable event each time. When the dividend is paid out, the stock price drops in an amount equal to the payout amount. So the total net worth of that dividend investor did not increase but he did have to pay taxes on that event. For an index investor, the capital appreciation of their investments is not paid out until they choose to sell their stocks. At that point, they may create a taxable event. Although the tax treatment on dividend income is favorable according to Craig, many don't understand why you would want to create a taxable event at all. Some investors may just not understand why on earth you would do this, but that's okay! Different ideas make the world go round. To Brad, this seems too similar to selling stock. To Craig, this is a solid way to invest his money for long-term growth. Craig likened dividend investing to putting your money in cash. You know that the predictable dividend is coming your way at the end of each quarter which lends stability to his portfolio. One thing that people find a lot of comfort in with dividend investing is that it's very predicable, when markets are flucuating… dividends are very stable. Companies pay these dividends every quarter, year after year, and you can measure how much money you are going to recieve from these companies… Dividend growth investing brings some stability to the markets that are otherwise very unstable. Of course, it is not an infallible truth that your dividend investment portfolio will always grow and provide income. However, if you choose companies with a solid track record and continue to monitor your investments regularly, then you can be fairly certain of your future payments. The most important part of dividend investing is finding companies that can pay their dividends. Stick with those companies and avoid companies that cannot pay their dividends. Most good dividend investment companies will be incredibly boring. For example, utility companies and diversified manufacturing companies offer stable dividends. Good dividend companies are mature organizations that are past their high growth phase. You do not want a growing company to pay out a dividend because they need to invest it back into the business. However, dividend companies are past the point of needing to reinvest heavily into the business. Look for businesses that won't go out of style. The Dover Corporation is a good example of a well-diversified mature company that is known as a good dividend investment. When looking for your companies, do not just pick the investment with the highest dividend rate. You want to find a company that is steadily increasing its dividends in a way that matches its earnings. In other words, find the payout ratio and ensure that it is reasonable. Generally, the earnings are more important than the yield. Avoid companies with a yield rate between 6-8% because it is a sign the company's stock price has dropped recently. Build a balanced portfolio with companies that have a track record of paying out dividends every year. Consider including some low yield stocks with high growth rate and some high yield stocks with a slower growth rate. Seek out a variety of companies at different stages of their growth for a balanced approach. Start your search with the Dividends Aristocrats List or the Dividends Champions List. In transparency, Craig also uses index funds in his investment portfolio. The majority of his holdings are in index funds but some of his holdings are in dividend investments. His portfolio of dividend investments currently yields around $7,000 a year in passive income. He is on board with both strategies because they offer different advantages. However, he cautions that index investing is likely a better strategy for most people. For people attracted to dividend stock, the goal is creating an income stream because there is some comfort in receiving a profit on your investment in the near future. Instead of focusing on the return they will earn in 10-15 years, they are focused on the income they are able to earn now. A successful dividend investor truly enjoys digging into a company and monitoring their investments. If you do not have the time or the interest to monitor your stocks, then you should not pursue dividend investing. You would need to invest time and energy into building a worthwhile portfolio. If you are interested in dividend investing, then start small. Choose a company that you like in the beginning. Start slowly with a company you understand. One advantage is that you do not have to buy companies that you don't like. However, don't let this influence your strategy too much. Remember, you do not have to switch to 100% dividend investing. Even if you choose to allocate a portion of your investments to this strategy, it does not have to be your entire portfolio. Are You Still On Track To Beat Dad? Yes! Craig expects to hit FI in the next 5-6 years. However, he does not intend to stop working until 55. Although there are still some obstacles, he is optimistic about his Retire Before Dad plans. Also, if you want to learn more about dividend investing check out the Dividend Growth Investor and Mr. Free at 33. Favorite life hack: When you have the opportunity to travel, you are going to need more time and less money than you think. Biggest financial mistake: After landing his job in Washington D.C., he lived in a group house that was a great experience but eventually felt like he needed his own space. So, in 2006, he bought a one bedroom condo at a seemingly good price. However, the home purchase bumped his housing expenses from $750 a month to $2,300 a month! It was a big mistake to move to a huge mortgage payment at that age. What advice would you give to your younger self? When you have kids, you realize how much free time you had before you had kids. I would tell my younger self to start side hustling and be more entrepreneurial back then. Bonus! What purchase have you made over the past 12 months that has brought the most value to your life? A foam roller for around $20. Nice podcast, the guest was very clear in explaining the issue. Looking forward to Big ERN. Excellent interview and one of the best explanations of the dividend investment process I’ve heard. The steady cash flow provided by a dividend investment portfolio cannot be underestimated. I offer some example funds which are dividend aristocrats so you can plug them right in to your broker screen (how was my American lingo there?). Great job Craig, you handled the interviewer’s distaste of dividend investing with grace and compassion, and even though he couldn’t understand why one would take this approach, you made it clear to this listener. Craig I caught the subtle mention on who this may be a perfect investing strategy for in the interview and wish that would have been able to be emphasized more. 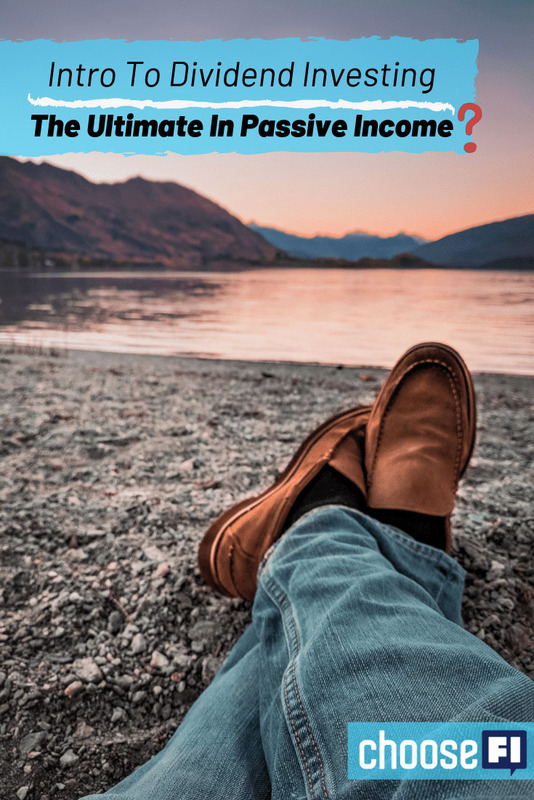 You had made the subtle mention to persons in a certain tax bracket and of a certain tax filing status, focused on building a bridge account of passive income. I wish we could’ve gone deeper there on how these persons, in essence, may be able to take a dividend approach to building a passive CURRENT income stream (prior to 59 1/2) and at most realize long term capital gains rates versus an ‘average joe’ taking a salary and being taxed. I also wish we could’ve looked at how that dividend approach in a taxable account in cooperation with indexing inside tax advantaged account would look as opposed to minimizing RMDs with Roth conversion ladders. I felt like that interview turned into a bit of interviewer bias away from dividend investing and you were almost defending the position as the ‘devils advocate’ type questions kept coming. You made the aforementioned comments and before I could process to what I listened to another rapid fire question would come at you rather than a follow up clarifying question enabling you to elaborate on your initial answer/scenario. Say a high income married professional could maximize their tax advantaged buckets early in the year (Solo 401k, 2 Backdoor Roth IRAs, HSA, and 529 contributions) and then built a dividend producing taxable account with the extra income beyond their annual/monthly household budget needs. A few years of this and one could feasibly build up a taxable account that could produce and supplement that monthly household budget (in a similar vein of someone who builds a rental portfolio). Once that was on par, one could then continue to max tax advantaged space in phase 2 but then throw ‘extra’ income beyond the budget at the house payoff goal, and once achieved perhaps sit back and live off taxable dividends until the 59.5 and 70.5 benchmarks. At least this is where my current understanding was led during this interview. Am I on or off here? Johnathan and Brad, thank you for having this topic on your program. I’m sure somebody has already clarified the difference between stock price (equity) and the dividend (cash flow). When a stock goes up or down, this change in equity doesn’t effect cash on hand which is used to pay dividends. Companies trading publicly that don’t pay dividends likely use that money to pay down debt or to reinvest into their business. The investor holding these companies is looking for purely an increase in stock price (equity). Versus a dividend investor is usually using this dividend to reinvest into the company to buy more shares and increase their holdings or they use it to supplement their income. This idea that stock goes down by the amount of a dividend paid is simply not true. Overall the stock goes up or down primarily based on estimates of future earnings (PE). That is no less true of dividend paying companies than it is for growth companies. Any company which is making more cash than they know what to do with, should be paying a dividend. Hoarding cash does not help a companies stock price. So if you believe that a company is a good company, the stock is reasonably priced, and earnings will grow then why wouldn’t you want to receive a dividend while you wait? It was kind of mindboggling how biased the interviewer was, and how he just didn’t WANT to understand what the dividend approach was about. There is a clear benefit in having monthly cashflow no matter what the market does to a stock price, because the stock price doesn’t affect the cashflow, the company earnings do. The index investor does not have the luxury of steady cashflow during a downturn, at least not without emotional bruises he gets from having to sell shares when prices are down. Obviously, if you’re young and don’t need the cash flow right now, index investing might be the better long-term choice. But for whoever wants cashflow now, dividend investing is a solid strategy, and one that comes with much less emotional ups and downs with market gyrations – and that kind of piece of mind shoulndn’t be underestimated. Glad to see my FI vehicle of choice, dividend investing, see highlighted here at last. 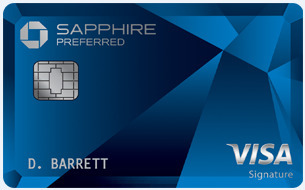 Especially for us Europeans, who don’t have access to VTSAX due to regulations, this is a great way to invest. Some other commentator already highlighted the advantages. I strongly recommend inviting Jason Fieber for this topic, if you want to follow up on it. He’s a very good speaker and very knowledgable on this particular topic but also FIRE in general. Moreover, he is VERY relatable, since he started his FI journey as a car salesman on 30k a year with NO financial education whatsoever. He documented his journey to FI over the years on his websites and wrote two books. A few years later he is now living in sunny Thailand, living entirely off his dividends – as a living testimonial that EVERYONE can achieve FI through dividend investing. If you want to hear more, Jason gave a fantastic interview on FI through dividend investing on the radical personal finance podcast. It was also the very episode that brought me on my FI journey and made me a believer in dividend investing. Having my favorite FI guy on my favorite FI podcast (choose FI of course) would be a dream. I liked where Brad was going with back testing the dividend aristocrat list vs. the total stock market index. I would like to see a full on academic trinity level study on comparing these two strategies. Anyone up for that : ) I recently started dabbling in medical office building REITS and it will be interesting how it works out.